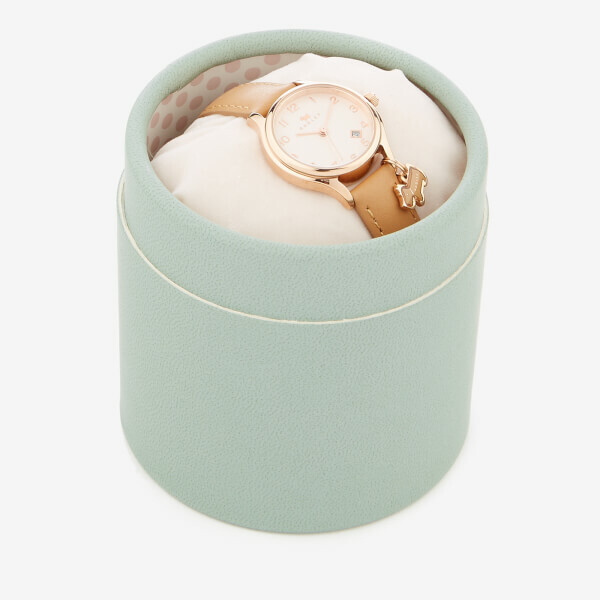 Women's mini 'Liverpool Street' watch from British brand, Radley. 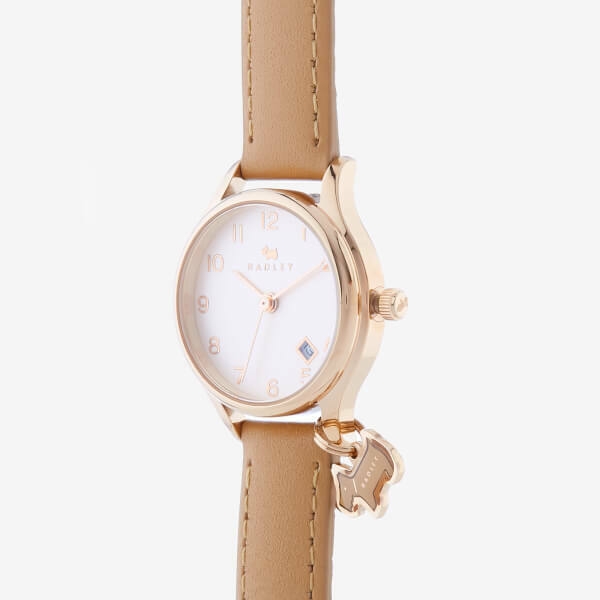 Designed with a brushed gold-toned case, the analogue timepiece functions on a three-hand Quartz movement and features easy-to-read numerals, a square date display and an adjustable crown. 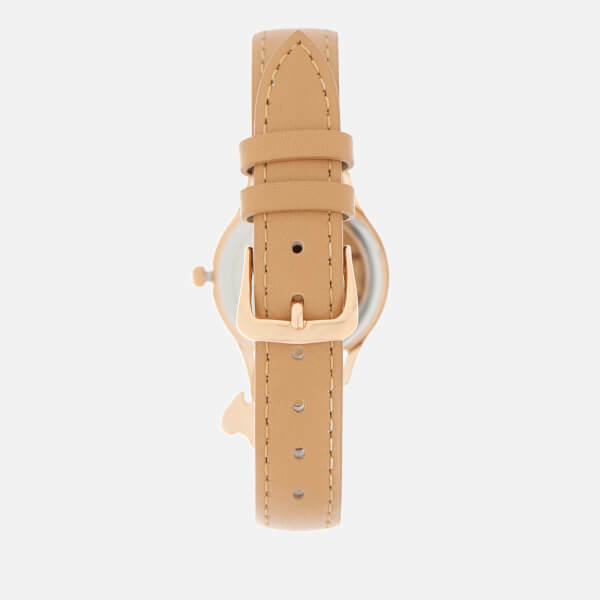 Fitted with a smooth leather strap that is secured with a pin buckle and two keepers. 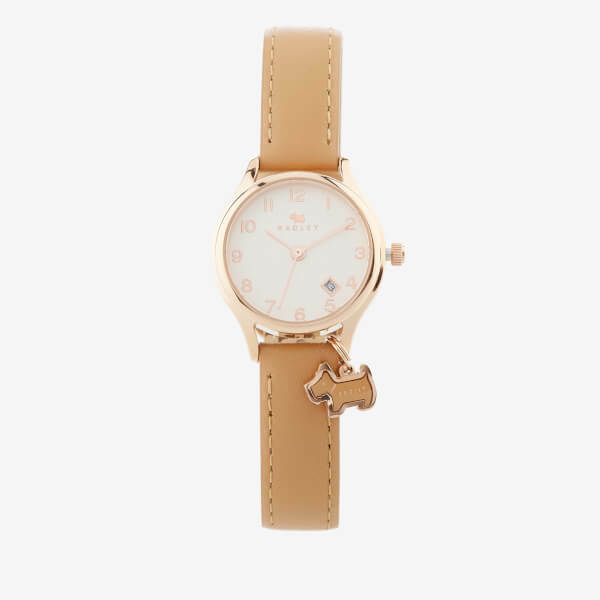 Subtle branding and an enamelled dog charm lend a signature finish. Presented in a Radley gift box.